This research poster exhibition showcases and celebrates the exciting accomplishments of our students and faculty in advancing research and innovation across all disciplines. 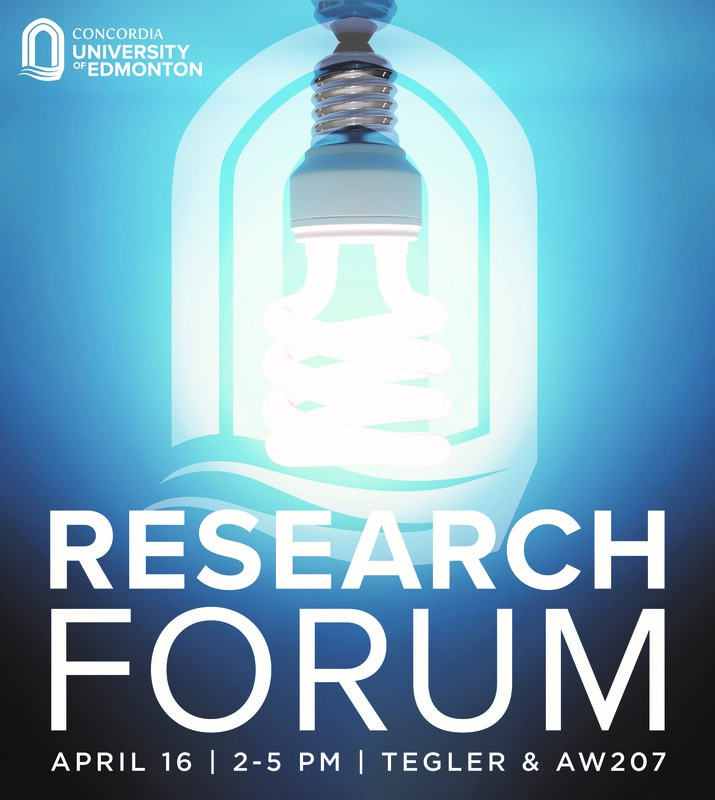 The program for the 4th Annual Research Forum can now be downloaded here. Please arrived between 1:00 pm and 2:00 pm to collect your badge at the Registration Desk. Registration and Poster submission for printing have ended. If you registered for the Forum, but did not submit a poster for courtesy printing, please print your poster on your own and bring them for the Forum by 1:00 pm on April 16th. For the 4th Annual CUE Research Forum, we will hold a Poster Competition for students. Poster presentations will be judged by a panel of members of CUE, and winners will be invited to present their posters at the Design Thinking Space. The Academic Community at CUE is proud to show its support for our students. We will have two venues this year: Undergraduate Student presentations will take place in the Tegler Student Space, while Graduate Student and Faculty Member presentations, will be held at the Design Thinking Space, located in the second floor of the Allan Wachowich Centre. 2019 Abstracts are listed online – visit now for the full listing. Download our Research Forum 2018 – Abstract Book for details from our 2018 research projects. 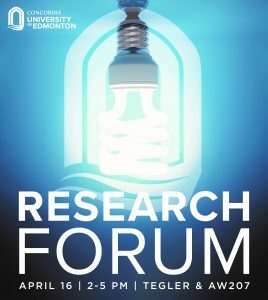 This annual poster exhibition is organized by the Office of Research Services and provides an opportunity for CUE faculty and student researchers to present their work and exchange research ideas and results with the broader university community, as well as industry professionals, and guests. This is an “open-house” style event. Refreshments will be served and there will plenty of time to meet and engage with guests and presenters. This year, the Research Forum coincides with the Concordia University of Edmonton Graduate Student Open House! If you have any questions about the event, please contact research@concordia.ab.ca.